Join the Food and Agriculture Organization (FAO) of the United Nations in celebrating World Food Day on October 16. 2018 to bring awareness to the 815 milion people that stull suffer from hunger across the nation. Did you know that 40% of the food produced in the United States goes uneaten? Wasting food wastes everything including water, labor, fuel, money and love. 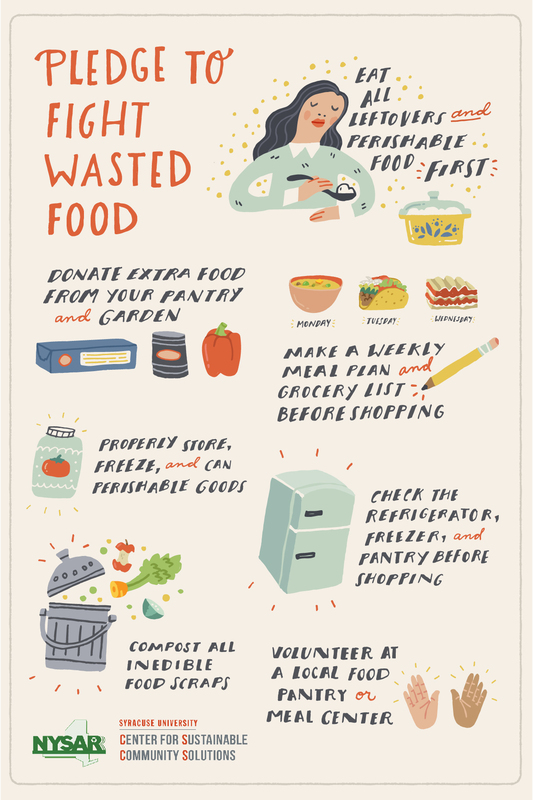 The New York State Association of Reduction, Reuse, and Recycling (NYSSAR#) is currently leading a statewide food recovery campaign to reduce wasted food, redirect surplus food to hungry New Yorkers, and to recycle remaining food scraps. Together we can take actions at home that will reduce the amount of wasted food in New York State. Join the New York State Food Recovery Campaign in taking the Pledge to Fight Wasted Food! Many residents know about the busy boat launch and park on the Erie Canal, but not many know that this is owned by the Town of Clarkson. San Souci Park (French for ‘without worry’) is located just north of Route 31 at 4159 County Line Road, Brockport. The park along with a wonderful pavilion, were built by Clarkson’s uber talented highway staff. 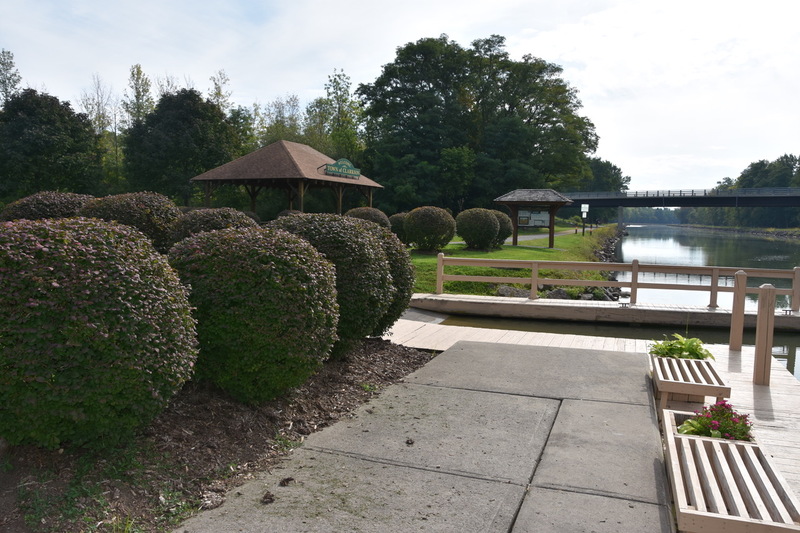 Not only is the public boat launch a busy place, it is frequented by walkers and bike riders traveling along the Erie Canal, as well as those seeking a calm place to picnic, read, or just relax. We’re guessing it probably has one of the smallest frontages on the canal but it sure packs in a lot of amenities, including plentiful parking. Need a place to host a party? Rent one of Clarkson’s lodges– they are going fast but reservations can generally be made almost a year ahead. You can find the information on the Town Clerk’s page.